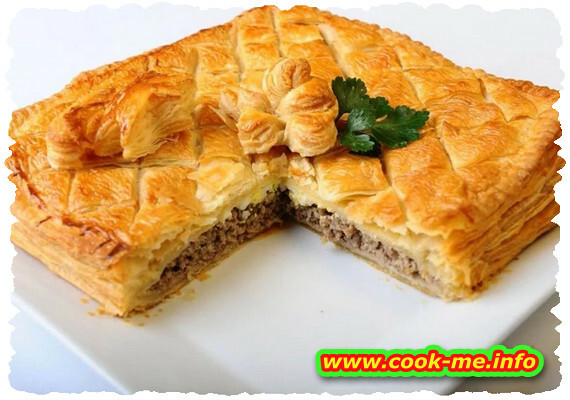 A hearty pie with pork meat as main ingredient. Medium complexity , ready in 90 minutes. Mince the meat, cook the onion and the garlic in a bit of oil. Add salt and pepper. Grease a tray with a bit of oil and place 4 sheets of pie each greased with oil, then put 1/2 of the meat quantity ( cooled ). Place other 4 sheets greased with oil and then the remaining meat and again 4 sheets greased with oil. Separately beat the egg whites, then add the yolks, beer, salt and pepper. After 15 minutes put it in the oven to bake. Take it off the oven when is browned.